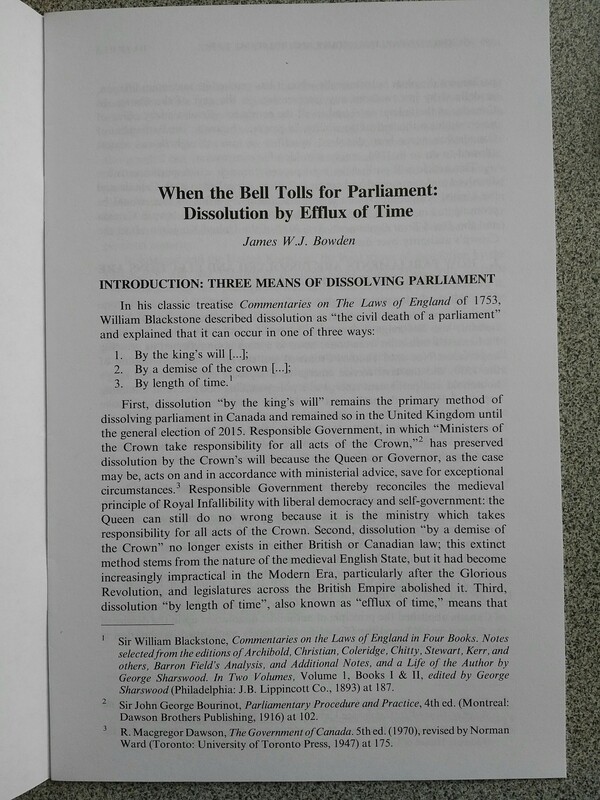 I’m very pleased to announce that my article “When the Bell Tolls for Parliament: Dissolution by Efflux of Time” has come out in the latest issue of the Journal of Parliamentary and Political Law. Incidentally, the germ of this manuscript started out as an answer to a question that one of my readers asked me last year on something pertaining to fixed-date election laws, so I’m also grateful for the contributions that you make here on Parliamentum. 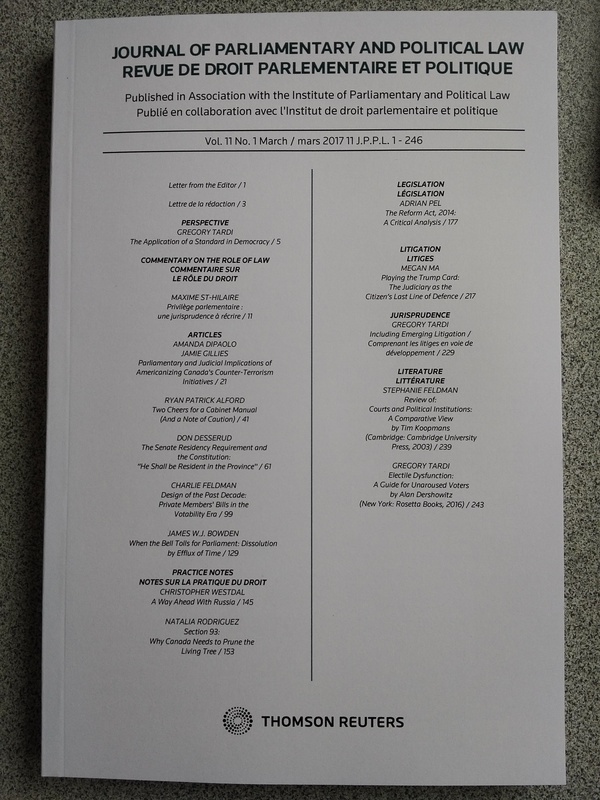 I encourage you to subscribe to the Journal of Parliamentary and Political Law or check it out in your university library.